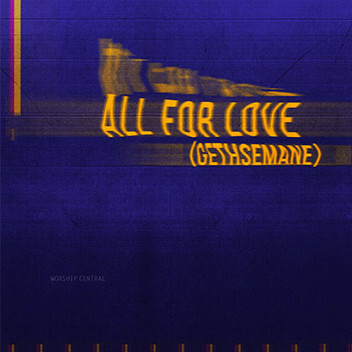 Integrity Music announces the 9 March release of 'All For Love (Gethsemane)' from Worship Central, the Birmingham, UK-based worship training collective led by Tim Hughes and Luke Hellebronth. The song precedes Worship Central’s new live album, Stir A Passion, set for global release this May. Penned by Worship Central team members Luke (“Spirit Break Out”) and Anna Hellebronth with Ben Cantelon (“Saviour Of The World”), the digital single “All For Love” reflects upon the sacrifice of Christ this Lenten season. The song will be featured on Stir A Passion, recorded live by Worship Central at “The Gathering” conference last fall. The 11-track album, which was produced by Willie Weeks (Passion, Matt Redman) and Jimmy James (GuvnaB, LZ7), follows Worship Central’s critically acclaimed projects Spirit Break Out, Let It Be Known, Set Apart and Mercy Road. Founded in 2006 under the auspices of Holy Trinity Brompton, the church known for developing the Alpha Course, Worship Central is a movement of worshippers who want to see the worship of Jesus Christ made central throughout communities, local churches and the world. Their vision is for people to encounter God, for worshippers to be equipped and the Church empowered. Based in Birmingham, UK, with local hub networks in 18 countries including the U.S., Canada, Australia and South Africa, Worship Central has trained, resourced and inspired worshippers from around the world, with thousands attending training events internationally and engaging with the variety of resources created by the Worship Central team. In 2011, Worship Central launched the 7-session Worship Central (online) Course that allows local leaders and churches to train their teams in the theology of worship while developing their musicianship and songwriting abilities and exploring key leadership values. In addition, Worship Central runs an Academy for worship leaders, providing a unique opportunity for a group of students to invest a year in the local church with additional input from the Worship Central team. Designed to develop and sharpen students’ skills, the Academy runs alongside partner churches to offer a structured program of theological training and practical coaching.